So what do you think about when you think about Greece? All those pretty islands like Santorini? Greek food, the film Troy? I hadn't been to Greece before this trip and wanted to see as much as possible in two weeks so decided to book a cruise to be able to Island hop. 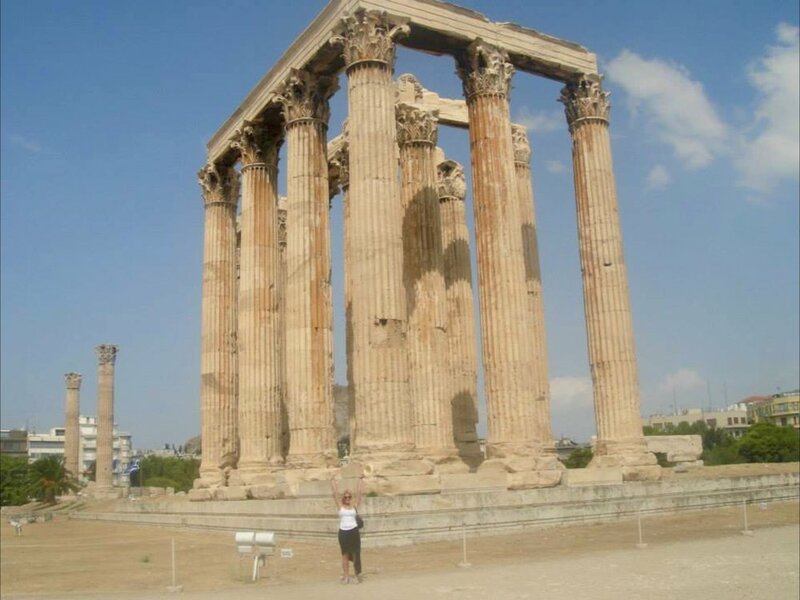 Before cruising I decided to stay in Athens because I wanted to go and see the Acropolis/Parthenon. I love history and the Acropolis is full of it, the birthplace of democracy. We stayed at the Royal Olympic Hotel in the Panoramic Suite (the hotel kindly gave us an upgrade thank you!) 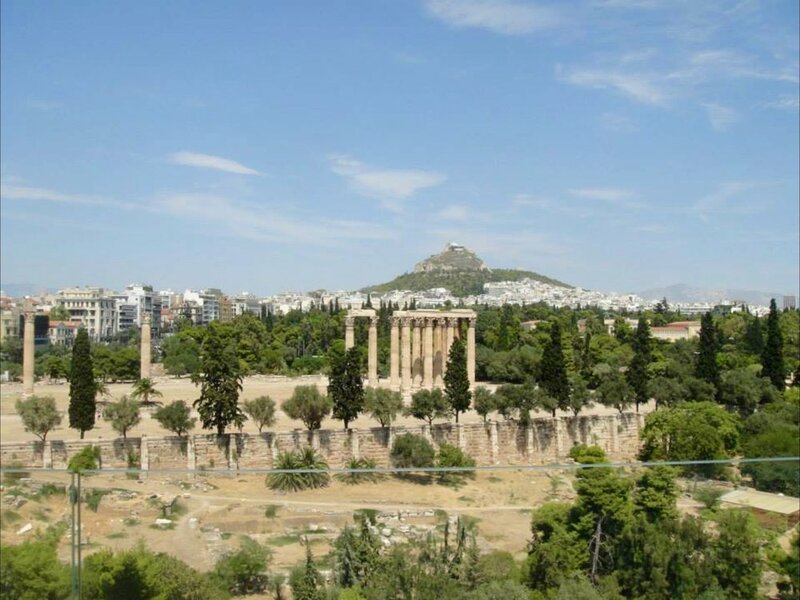 which had a panoramic view of Zeus Temple. 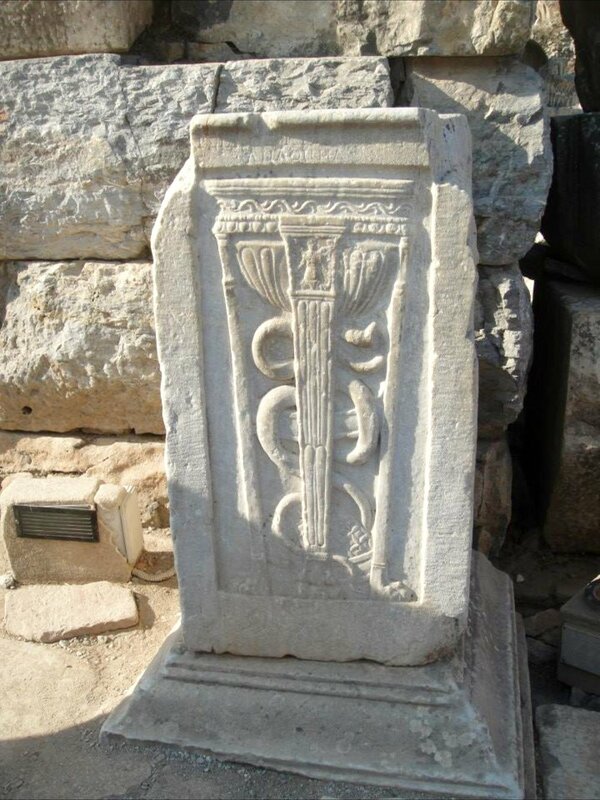 This is what is amazing about Athens, there is ancient history everywhere, imagine walking out of a hotel into an ancient temple anywhere else in the world? 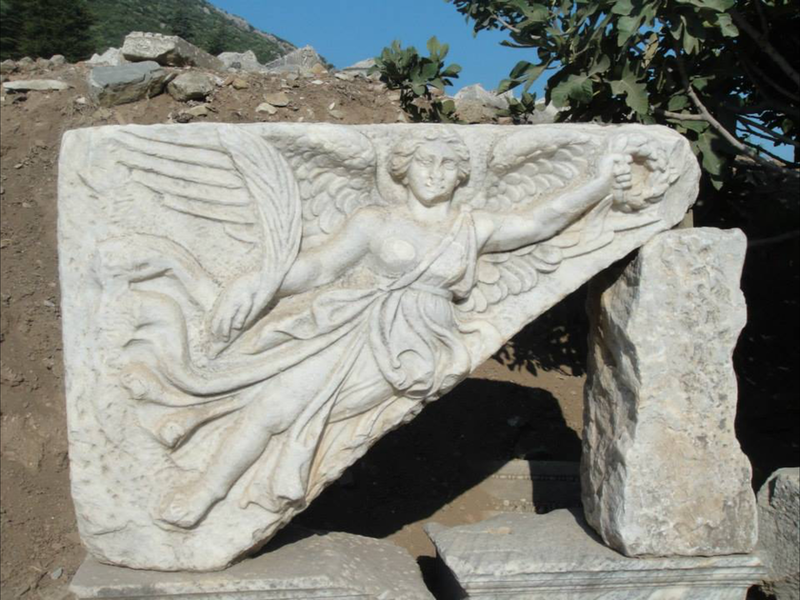 Within five minutes walk you can access Zeus temple. Definitely worth a visit, you don't really get the size and scale of it until you are stood next to this ancient architecture. 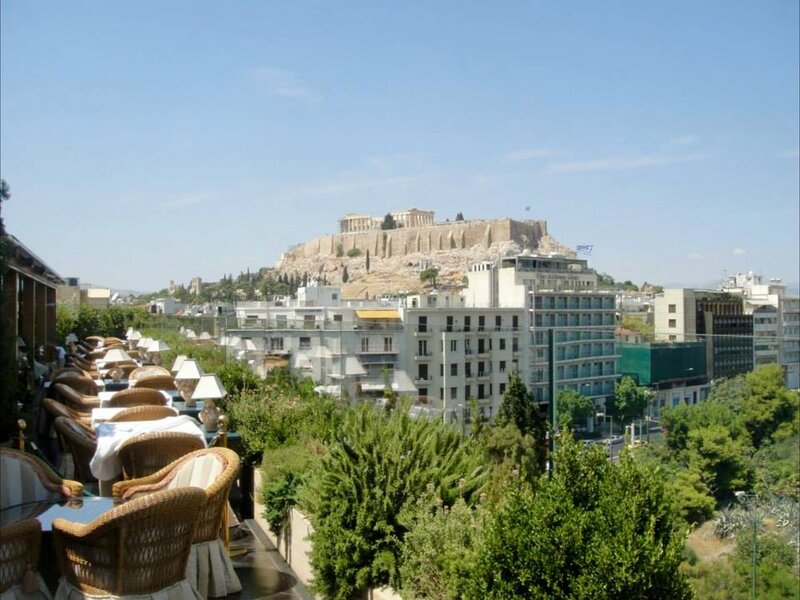 The Royal Olympic Hotel has a rooftop restaurant so you can see the Acropolis whilst eating your breakfast/dinner. It really is quite stunning and would definitely recommend this hotel due to location and views. Set off for the Parthenon early morning, just a short walk from the hotel. As we were there early missed all the crowds and would recommend getting there early to also miss the heat of midday. Absolutely loved everything about the Acropolis/Parthenon and the surrounding museums and grounds. 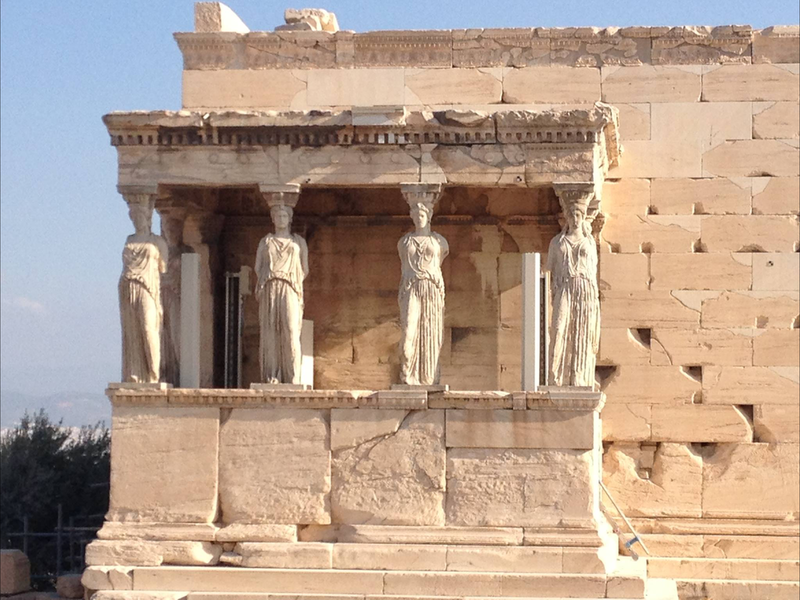 Think my favourite was the Caryatids, just wonderful. On the way down there is the museum where you can get a close look at the busts/jewelry etc and this is just fascinating. There are some restaurants on the road when you leave the acropolis area for refreshments and a rest after all that walking. You really need a whole day to be able to appreciate everything and to be able to take your time. You could spend hours in the museum alone. From Athens we embarked on a cruise to some Greek Islands. We visited Mykonos, Ephesus (Turkey), Rhodes, Paphos, Knossos (Crete) and Santorini in that order. Absolutely loved Mykonos and would consider going back there on a holiday. 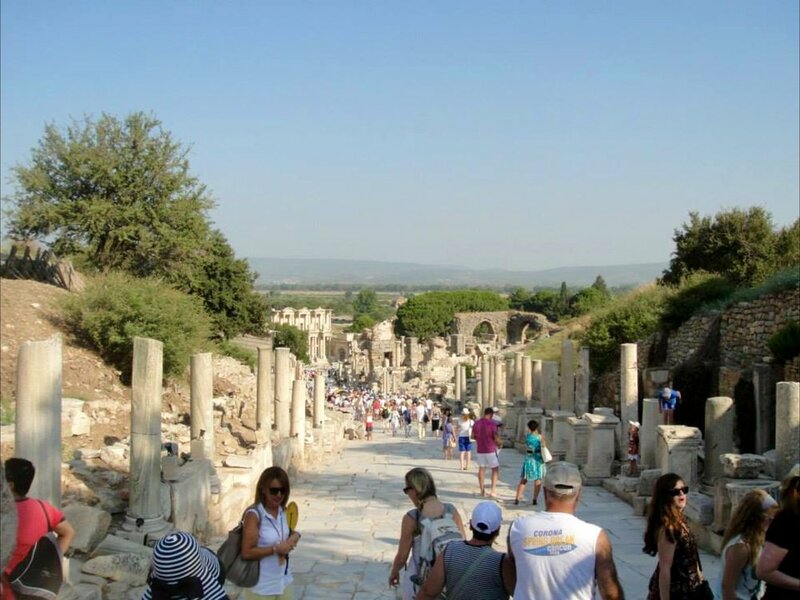 Ephesus (Turkey) was fascinating as the roman ruins there are quite well preserved, check out the Ephesus Library if you go. It used to be a large roman city and due to there being such great preservation there you can still see how it used to be over 2,000 years ago. Visited the Knossos Heraklion in Crete which is definitely worth a visit. Very interesting and different. Out of all the Greek Island destinations on our 7 day cruise my favourite was Santorini. It really is stunning there and can see why it is such a popular honeymoon destination. I would recommend doing a Greek Islands tour if you haven't really explored Greece before and want to get a taste of a few islands. You are only going to get a few hours at each destination but from this I could see which destination I would consider returning to for an actual holiday staying in one place. For the cruise we used Louis Cruises which are not expensive and offer lots of choices for Greek Island hopping. We stayed in the Amaryllis Suite and so had a bit more space than a regular room. Also paid for the drinks package which is a great deal and you don't have to think about cash at all whilst on board.